Adelaide, Australia, 2017-May-18 — /EPR Network/ — Between sold out tours of Australia and Canada in 2016, Jeff Martin (The Tea Party) invited new Australian indie folk / rock duo Secret Solis to record their debut EP, “Deep Down” at River House Studios near Byron Bay. The sessions produced a five track album of indie folk / rock anthems, the tracks resonating with both Led Zeppelin’s driving acoustic rock and the ethereal ballads of Pink Floyd. Jeff’s eastern palette adds an eclectic flavour to the EP that is reminiscent of his early albums with The Tea Party, as in Splendor Solis and Edges of Twilight. Terepai Richmond (The Whitlams) joins the line up on drums providing a John Bonham / Ginger Baker style foundation for the albums songs. 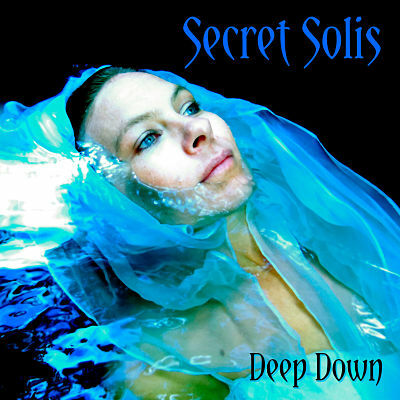 Secret Solis was formed in 2012 when established Cairns-based singer/songwriter, Kian Eder met Cally Pysden, a pianist and singer/songwriter from Adelaide. Before meeting Cally, Kian’s music was heavily influenced by Pink Floyd, The Tea Party, A Perfect Circle, and acoustic rock cross-over artists like Ben Harper. 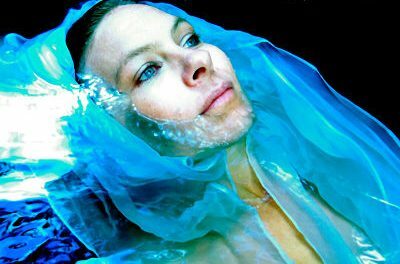 Collaborating with Cally added a new dimension to Kian’s vision, elevating the music to new heights with her soaring ethereal vocals the likes of Enya, Dido, Sia and Amy-Lee. Enter Jeff Martin as producer and musician using production techniques straight out of Jimmy Page’s playbook, and Terepai Richmond (The Whitlams) on drums and you have a special magic happening in the mix. Martin agreed to produce the band after hearing only a small section of their demo, “Speechless Soul” and the rest is history. Jeff plays all the heavy guitars and solos, hurdy gurdy and synths including his boutique theremin. He also lends his voice to the band’s debut single, “Sunshine”. The second single, “Are You Listening?” features Jeff playing an old school rock solo unlike many have ever heard. The Debut EP “Deep Down” will be released via bandcamp on the 16th of June, 2017. Secret Solis are currently seeking expressions of interest from record labels, managers and booking agents to take the project to the next level.